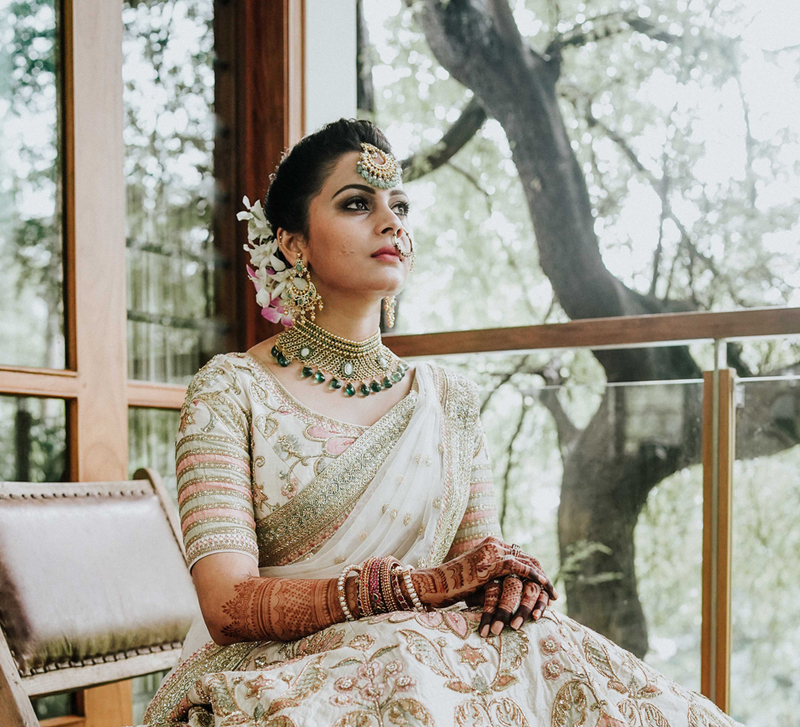 A skirt with a kitschy top, glamorous emerald gown, and an ombre lehenga fit for a queen, all made it to Innayat’s wedding wardrobe, thus ensuring that her trousseau was refreshingly diverse. Another highlight was how she gave herself standout beauty looks with her talent and expertise that paired perfectly with her outfits. 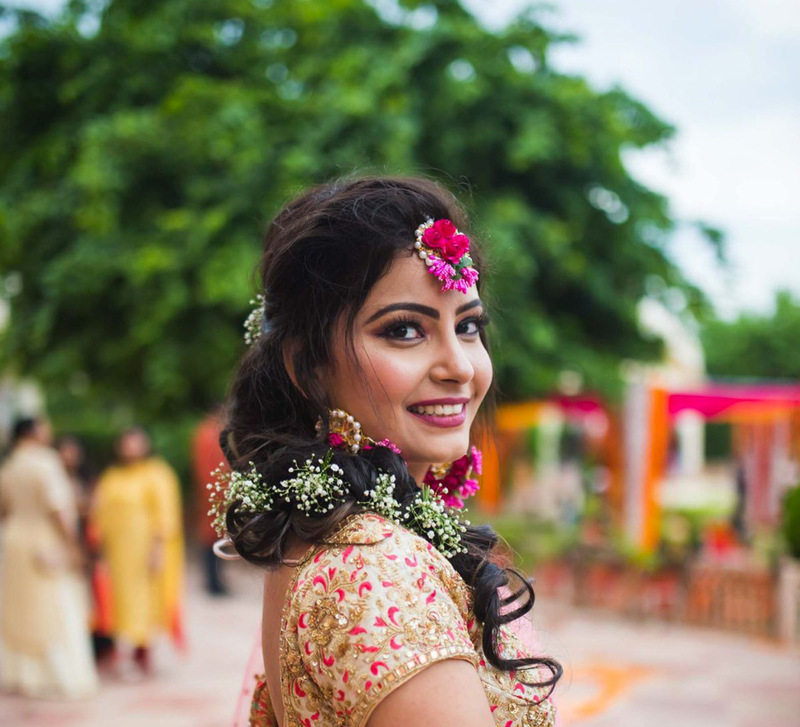 Bride Innayat shares details of big day captured by WeddingSutra Favourite - Dipak Studios below. 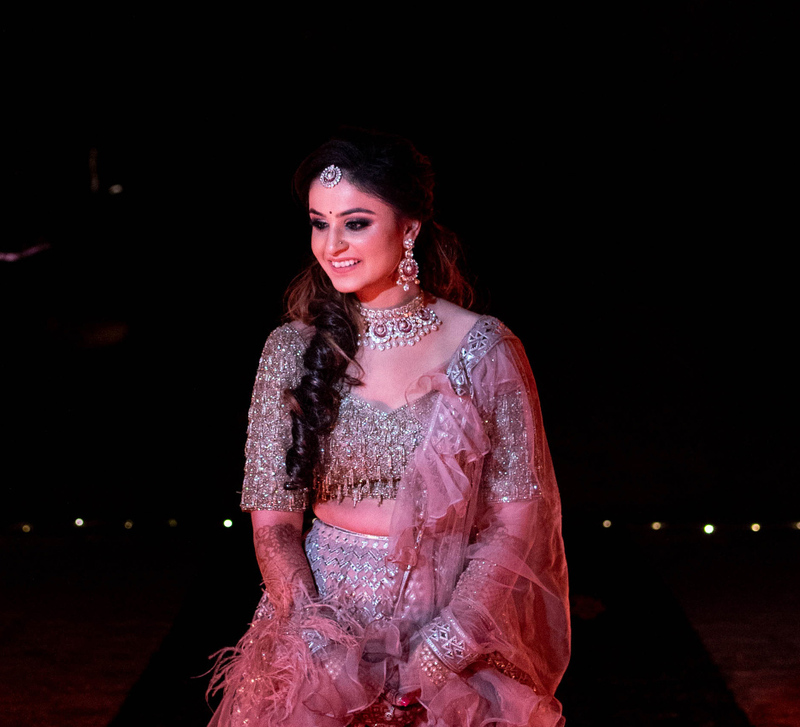 “I wanted to steer away from the usual reds and pinks that most brides opt for on my wedding day and I fell in love with a beautiful peach lehenga with intricate work. I paired this with a beautiful red and gold Banarasi dupatta, and the ensemble looked regal! 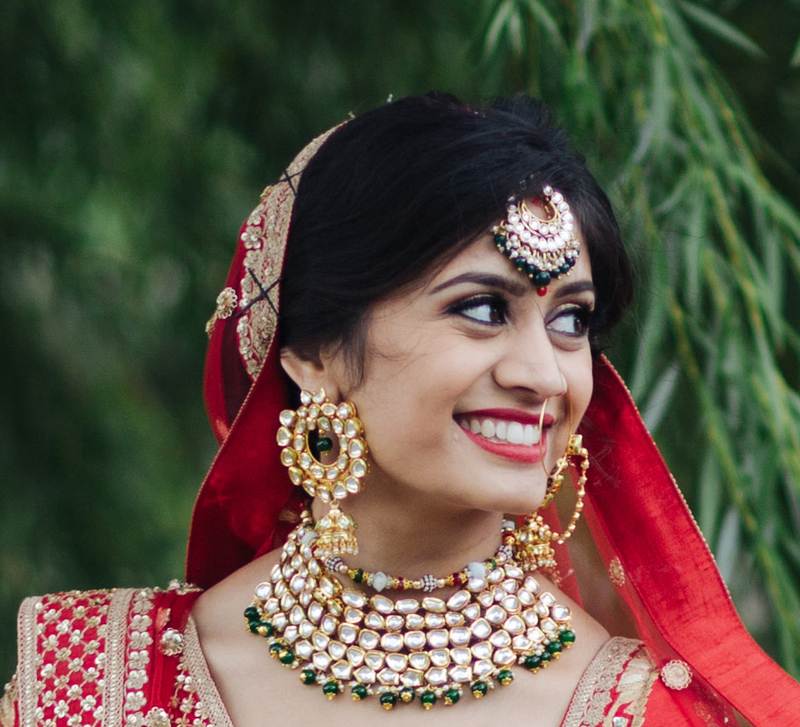 As a makeup artist, I believe that every bride should enhance her features on her big day instead of hiding them under gaudy, unflattering makeup. Once again, I created my look since I knew exactly what I wanted. I gave myself a soft bronze smokey eye and balanced it with a deep red pout and glowing skin.